Borges says somewhere that all literary classics finally end up as children’s books. The works of Ernest Hemingway and Albert Camus seem to have met this fate: the bare style they shared, meant to reflect the numb integrity of those still standing after the bombs of the twentieth century had gone off, now seems to circulate most widely among adolescents. They can identify, after all, with writers and characters forced to assume rigid poses lest they break down in tears or run away screaming. Among adults, though, and especially academically inclined adults, the reputations of Hemingway and Camus have fallen from their mid-century, Nobel-winning heights. In the 1950s, post-Hitler, post-Stalin, and post-Hiroshima, a sober affectlessness may have looked like the veritable last stand of Man. Now, however, when we are post-modern, post-feminist, and post-colonial, the posture of Hemingway and Camus appears to be merely the final exaltation of the straight white male, a spurious universalization of an elite and partial perspective. Aren’t Hemingway’s celebrated “clean, well-lighted places,” where men at war condole with each other and seek short-lived comforts in the unreliable arms of women, just glorified boys’ clubs? Isn’t his masculine stance and plain prose a defense against emotion and all else that he abjects as “the feminine”? As for Camus, well, his vaunted humanism and moderation during the Cold War and the Algerian revolution was a ludicrous bid for neutrality between unequal forces, hence a crypto-conservative defense of the status quo by one who stood to lose his privileges in the radical tumult. I may have overstated the case against Hemingway and Camus, but it’s to suggest what two new books on the authors—Donald F. Bouchard’s Hemingway: So Far from Simple and Robert Zaretsky’s Albert Camus: Elements of a Life—are up against as they make claims for the artistic and even moral greatness of these men. Bouchard, a former English professor at McGill University, was instrumental in bringing Michel Foucault’s thought before North American audiences. Thus he applies the insights of Foucault (and Foucault’s post-structuralist cohort, including Deleuze, Said, and Barthes) to Hemingway’s fiction, demonstrating that its superficial simplicity actually enacts a dense re-working of tradition and a radical theory of writing. Charting Hemingway’s career from the early short stories to the last works, Bouchard considers the entire oeuvre to be a “text” in the sense given that term by French theory: “Hemingway’s text is an achieved hyper-realism and only incidentally concerns the faithful representation of external reality. . . . it is the writer’s beginning intentions that are reexamined at successive stages in the writer’s career and repeated with variations.” All of which is to say that Bouchard considers Hemingway’s writing not as a set of discrete units of representational meaning (i.e., realist novels, memoirs, and stories), but rather as a field of language ever making and re-making itself and the “self” of the author, who is the creation of his writing rather than the creator of it. 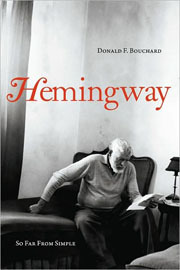 These are common enough ideas when applied to Hemingway’s acquaintances Gertrude Stein and James Joyce, but Hemingway himself, with his stripped-down style seemingly intent on mimetic fidelity to the concrete particulars of the world, has received such high-theory treatment less often, and Bouchard does it persuasively. Toward the end of Bouchard’s study, he discusses Hemingway’s 1930s quarrel with the orthodox Marxist left: Bouchard writes that the Marxists, as represented in For Whom the Bell Tolls, had “a terrorist conception of history . 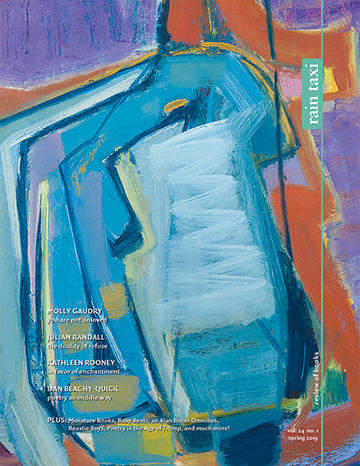 . . the present can be sacrificed for the promise of a successful historical resolution.” This argument—between a utopian vanguard and its present-minded skeptics—would structure much of Albert Camus’s career in the 1940s and ’50s, and Robert Zaretsky concentrates on this theme in his brief, fragmentary biography of the Algerian novelist and philosopher. Zaretsky, a history professor, emphasizes Camus’s political thought rather than his literary achievement. 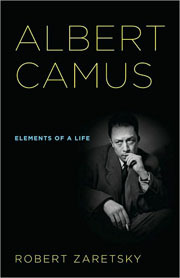 Narrated episodically, Elements of a Life covers key moments of Camus’s social engagement, from his early reportage from the impoverished mountains of Algeria to his late, doomed, and controversial attempt to bring about peace between his native country and its occupier, France. Zaretsky’s main goal is not to challenge the attack on Camus from the academic left, but rather to rescue the writer from his current neoconservative devotees, who would enlist him—as a representative of “European Enlightenment”—in the supposed clash of civilizations between western liberalism and political Islam. To this end, Zaretsky focuses on Camus’s almost classical sense of moderation in politics. A reader of Thucydides’s sober histories and the right vs. right tragedies of the Athenian playwrights, Camus sought through his writings and political interventions to honor the complexity of events and minimize bloodshed as much as possible. We cannot name it, of course, and Hemingway and Camus wrote out of an impulse to evoke and suggest the truths of experience without ever being so hubristic as to put labels to them. This does not absolve us of criticism, and Bouchard and Zaretsky are both sometimes too credulous toward their subjects. Zaretsky’s book never really considers in detail the charge that Camus was complicit with imperialism, while Bouchard quotes without censure passages in Hemingway’s fiction that would outrage even someone who had only heard of feminism. But if Bouchard and Zaretsky do not answer the accusations of the critics directly, they nevertheless give us good reasons to go on reading the two men’s works, flawed as they are. Hemingway and Camus wanted to make literature answerable to the silence of experience, especially the experience of violence, trauma, and war. If all we do is loudly condemn their works with the multitude of ethical names in our own proud lexicon, then it will be our loss.